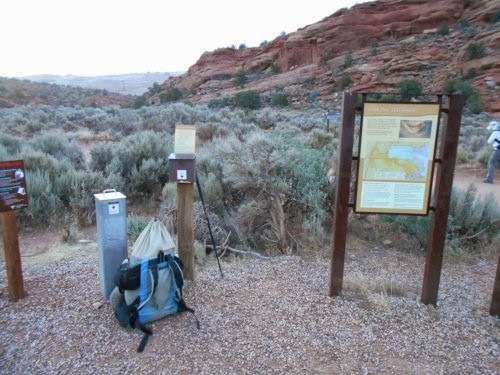 I fill out the day-use permits at Wire Pass trailhead. June 3: I was up and hiking by 5:00 AM. 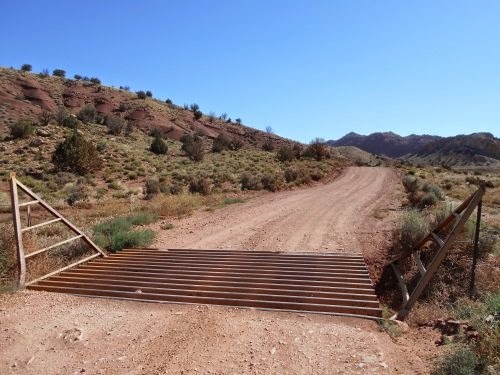 I really wanted to hike the entire length of Buckskin Gulch from the Wire Pass trailhead to Lee's Ferry, but that was out of the cards. To camp, I needed an overnight permit which I could only acquire at a ranger station and I wasn't anywhere near any ranger stations. No, I could only do a day hike, and I settled on a hike from Wire Pass to the White House trailhead. It was 21 miles according to online sources--and since I'd been pulling off 25 mile hikes with ease, it didn't seem out of reach. 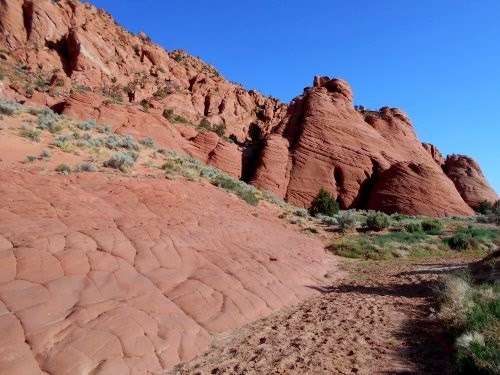 But.... Buckskin Gulch isn't exactly a giant, flat plateau either. 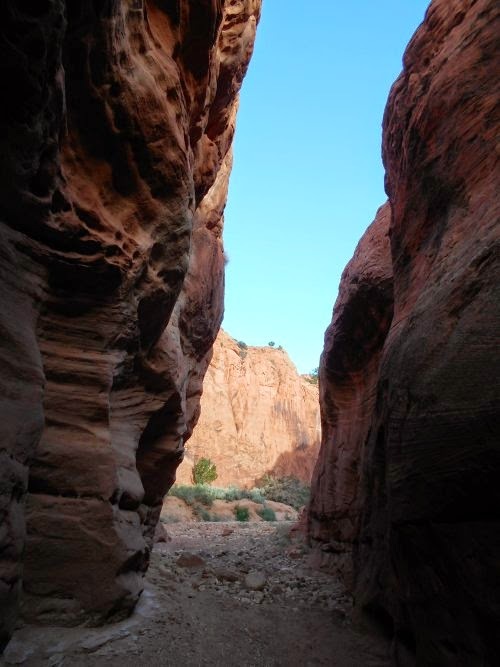 It was a slot canyon, with steep drops that I'd have to navigate, walking through water, and all sorts of obstacles that might slow me down. I recognized the fact that maybe... just maybe.... I wouldn't reach White House by the end of the day. But I also wasn't going to lose sleep over it either. I'd try to make White House in a day, but if I failed and wound up having to camp illegally in the canyon overnight, it wouldn't be the end of the world. I had all of my backpacking gear after all! I wasn't going to die out there if I got stuck overnight. Although if I ran into a ranger who wanted to check my permit, he might be a little skeptical that I didn't intend to camp out there. I did have all of my backpacking gear, after all. So that was my plan for the day. As happens with many plans, it fell apart quickly. Before setting out, I looked at the sky. There were a few clouds up and around, but none that looked remotely like rain. 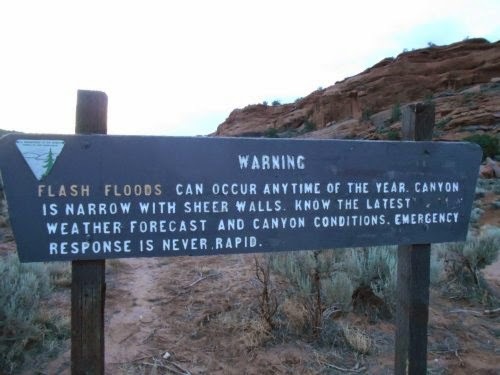 Flash floods are a serious problem in Buckskin Gulch and rain was not an option! It hadn't rained in over a week and none looked imminent. There was a permit station for day hikers at the trailhead, so I paid my $6 fees in the provided envelope. 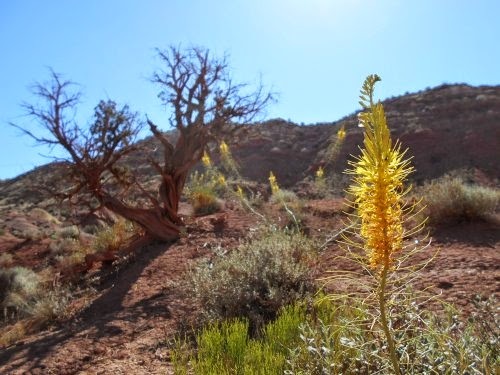 If I were still on the Arizona Trail, the idea of paying to hike the trail would have really ticked me off, but I wasn't on the Arizona Trail anymore. I wasn't thru-hiking the trail anymore. 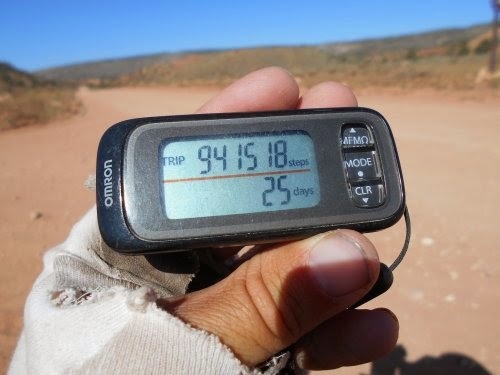 I was merely a day-hiker now! And day hikers have to deal with entrance fees, so that's what I did. Nope, it doesn't look like rain is in the forecast. Carry on! Not even an hour into the hike, I reached a trail junction. 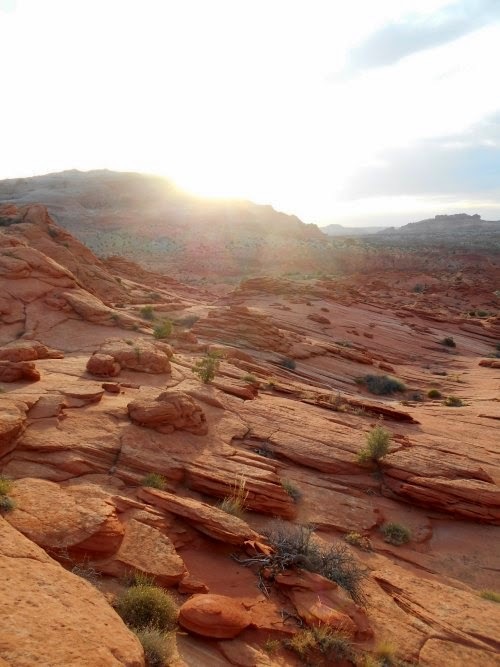 Buckskin Gulch was ahead, but the North Coyote Buttes was to the right. 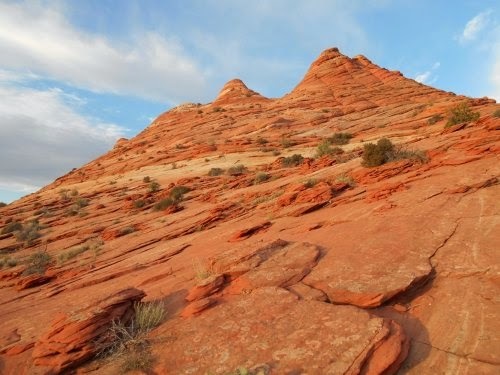 You need a permit to hike in the Coyote Buttes, and I had absolutely no way of getting one. That permit system was the most screwed up system I'd ever read about. 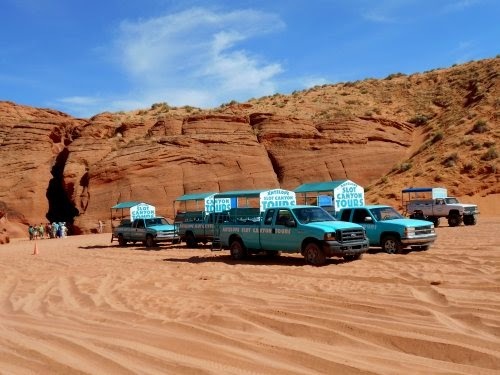 A maximum of 20 people are allowed in the North Coyote Butte each day. 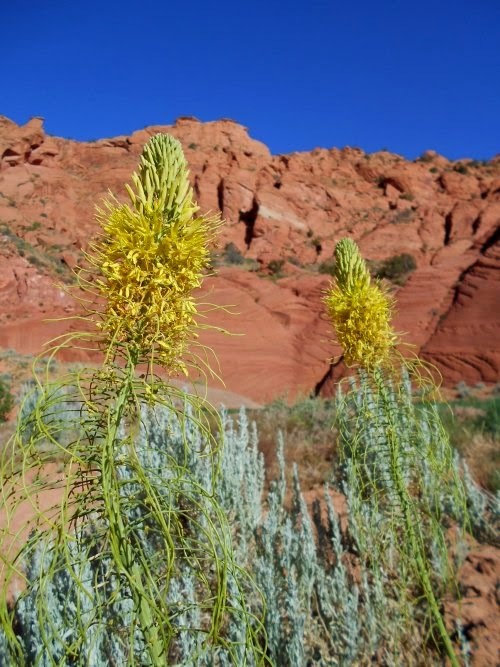 To get a permit, you either had to reserve it months in advance, but that wasn't an option for me--I had no way of knowing what day I'd reach the end of the trail when I started the Arizona Trail. 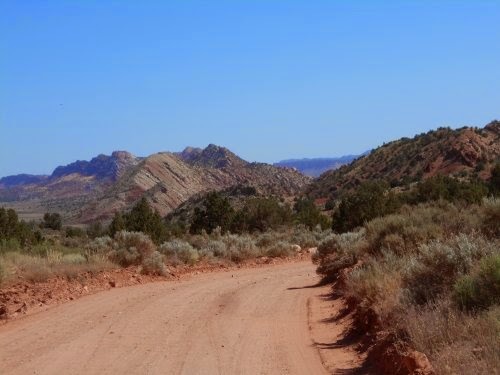 Or, you could drive to the ranger station in Kanab (50 miles away) at 8:00 in the morning, file an application to get a permit, wait for the lottery at which point 10 lucky (and random) people will be given the honors of a permit, then drive 50 miles to the trailhead to hike the area the next day. Of course, I had the additional problem of not having a vehicle! 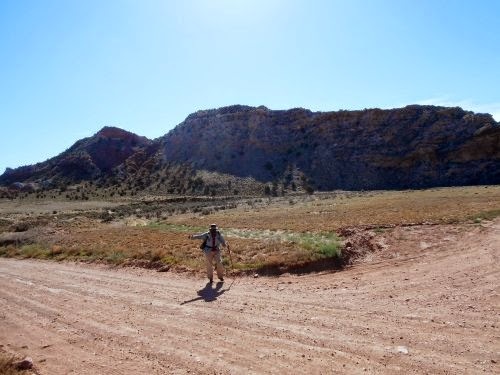 I made the cardinal sin of walking 800 miles to the trailhead, which means I'd have had to hitch a ride to Kanab, then hitch a ride back to the trailhead if I were so lucky to win the lottery. And if I failed to win the lottery, I was now stuck in a town with no form of public transportation to go home. No bus service, no train service, no air service. 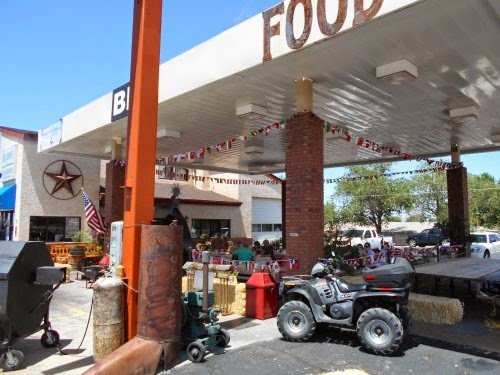 So I'd still have to hitch a ride to the nearest town with any sort of transportation facilities (which was Page, AZ--and my maildrop was there so I needed to go to Page anyhow). In any case, long story short, it's a seriously f***ed up system--and pretty much impossible for someone who's walked 800 miles from the Mexican border to participate in. I was a little bitter about that. Seems like there should be an exception for someone who's walked in all the way from Mexico. But I digress.... I reached this trail junction and the sign warning that permits were necessary to enter the North Coyote Buttes also said that the "area" started a half-mile past the junction, and I got to thinking that maybe I could see some stuff from there. 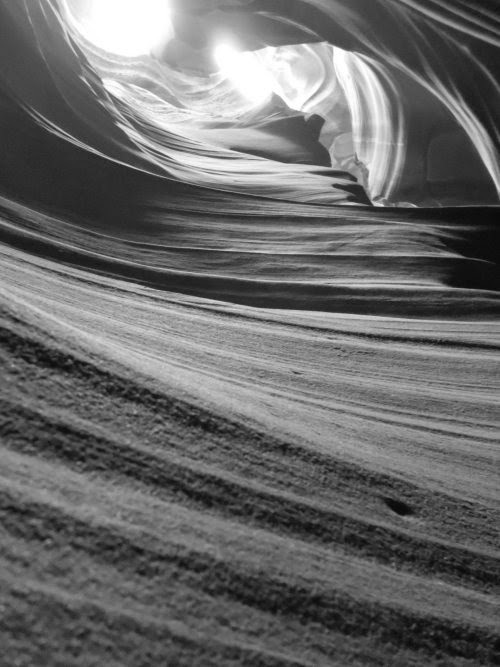 I really wanted to visit the area--it's home of the famous "Wave" formation and photos I've seen are breathtaking. I'd be more than happy to look from the outside looking in! I kept walking, and walking.... and there wasn't even a single person around. I left everyone else back at the trailhead. What would it hurt to pop my head in for a look? I'm not exactly sure where I crossed the line from legal to illegal, but I must have crossed it at some point. I was kind of in a rush, though. I knew hiking all the way out to White House trailhead was going to take all day and I didn't really have time for side trips. I'd just take a quick look at the Wave formation then be on my way. Except.... I couldn't find the Wave formation. Once I reached the solid rock, there were no trails or signage. It was just an area that you would wander around in at whim. The views were stunning! The morning light made the rocks and striations glow. If there were other people around, I might have asked them if they knew where the Wave formation was located in this magical-looking land. Or followed the large groups of people that undoubtedly congregated around the Wave formation--but it was just me. I took some photos and enjoyed the scenery for about 15 minutes, but I couldn't waste my whole day here and reluctantly started heading back. 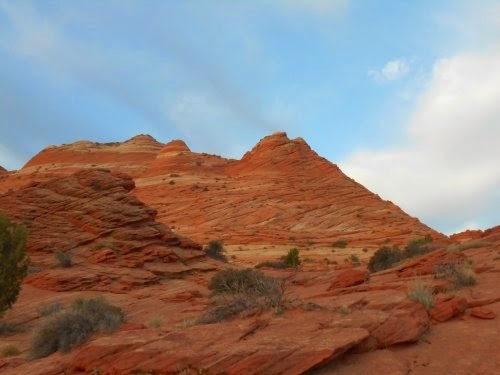 It occurred to me that the 20 people lucky enough to have a permit just missed the best time of day to see the Coyote Buttes, there in the morning light. They were still probably breaking down camp back at the trailhead and wouldn't get out here until the sun was a lot higher--and the lighting was a lot worse. It was getting hot too. I was sweating bullets by now and drinking water at a precarious rate. 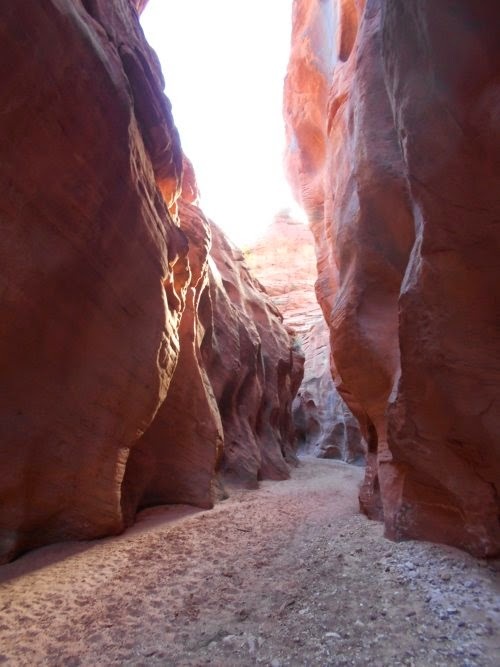 I hoped it wouldn't take long before I found some water in Buckskin Gulch--I was going to need it. 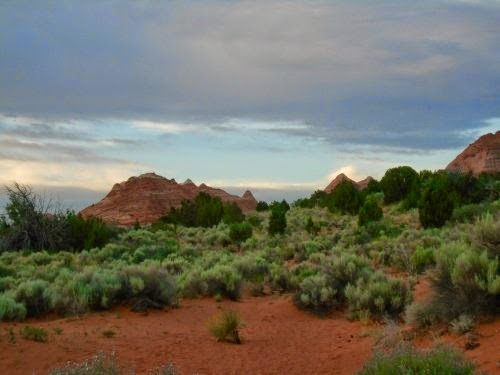 I made it back to the trail junction and continued my hike towards Buckskin Gulch. The canyon started getting deeper and deeper into the ground, providing a good bit of shade and relief from the increasing heat. Then I entered a very narrow canyon that I could barely walk through without both sides of my pack scraping the canyon walls. 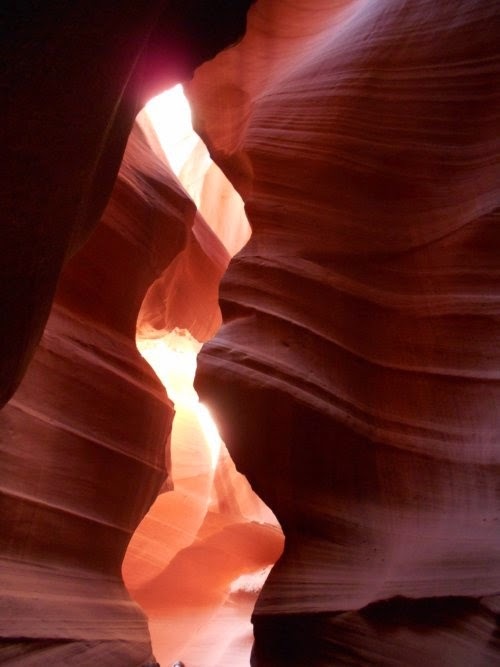 A slot canyon! Weee! 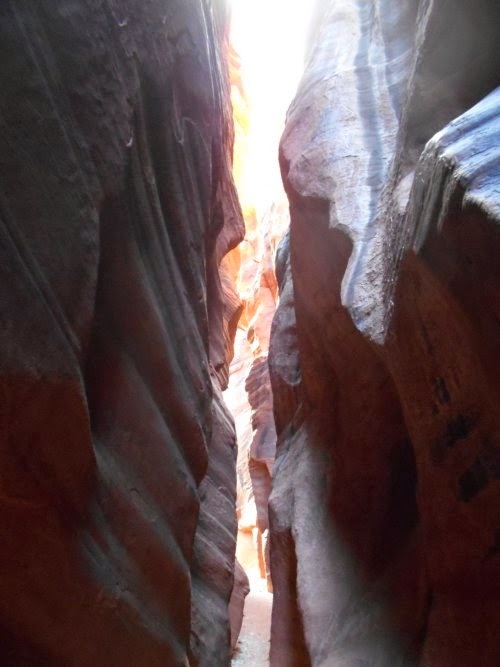 I haven't had a lot of slot canyon experience, so it was exciting for me. A new adventure! Then I got to the first drop in the canyon. It probably wasn't more than about 5 feet high, but high enough that I didn't just want to jump off of it either. I could break a leg! So I scrambled down on a log leaning against it and managed to get my pack caught on a branch. RIP! I wiggled a bit, but that branch had caught my pack good. I tried to look back at it but couldn't see much, and eventually felt the problem by stretching my arm behind me and worked it loose. When I got to the bottom of the drop, I took off my pack and studied the damage. It had ripped a small hole in the base of my pack. It didn't seem in imminent danger of catastrophic failure, though, and I put the pack back on and continued forwards. 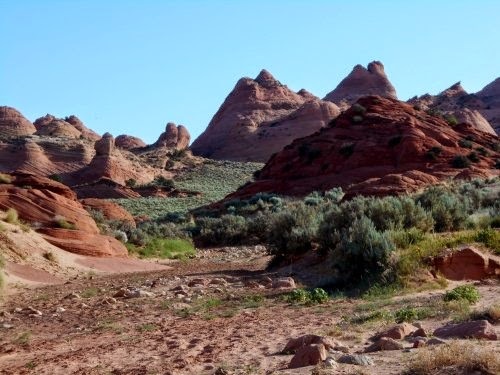 I finally reached the junction with Buckskin Gulch and immediately decided to change my plans--again. 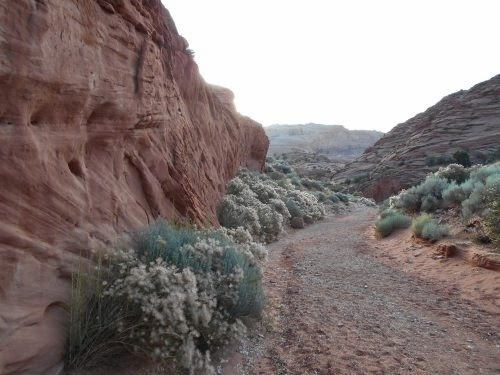 I'd hike out to the Buckskin Gulch trailhead instead. Besides the fact I just ripped my pack and I wasn't sure I'd make it White House trailhead by the end of the day, I was also running low on water. It was hot! And.... 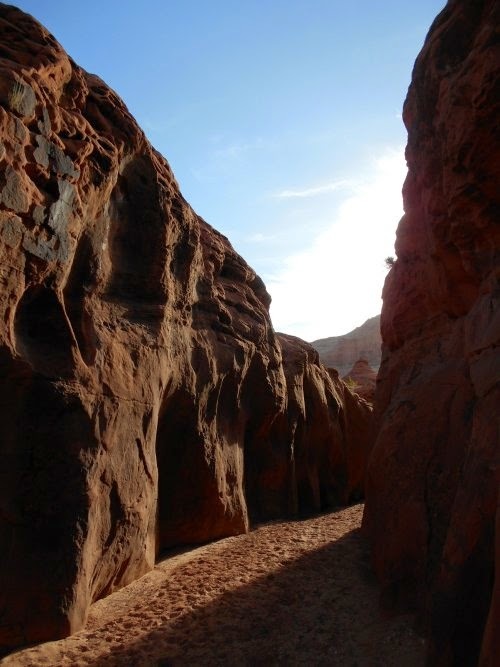 I had hiked through a slot canyon! That was the main reason I wanted to come out here, and I'd already done it! Mission accomplished! The views were nice, though. Not as amazing as the Coyote Buttes, but certainly nicer than I had any reason to expect. 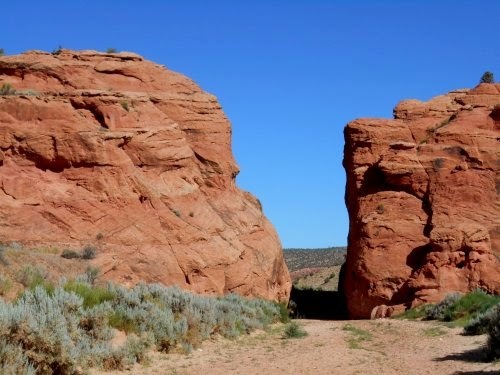 And a couple of hours later, I found myself at the Buckskin Gulch trailhead where, to my surprise, there wasn't a single vehicle in the parking lot. Not a single vehicle! I walked up the gravel road to the main road (which was also gravel) and sat down next to it waiting for a car headed northbound. While waiting, I took out some food and snacked. I was hungry. Ten minutes later, not a single car had driven by. I set up my camera on the Buckskin Gulch Trailhead sign and rushed back to the edge of the road to stick out my thumb and take a photo of myself "hitchhiking." It took a couple of attempts to get it right--I wanted my pack on in the photo and I had trouble running back to my place and in the "hitchhiker position" in the 10 seconds before my camera took the shot. Eventually I got it, though. The other problem, I knew, was that it was only 10:00 in the morning. Any cars would likely all be going in the wrong direction--they'd be going to the trailheads and not leaving them. I didn't really want to wait around until the late afternoon until rides started going my way. So I decided to walk north. The gravel road went something like 10 miles before intersecting with a paved highway to the north, and I knew the highway would have a lot more traffic and increase my chances of getting a ride dramatically. I could still stick out my thumb if any vehicles did come up behind me heading in my direction too. But by walking, I felt like I was hedging my bets. After an hour of walking, I was really excited when I heard a truck coming up behind me... I stuck out my thumb. Come on! Pick me up! Get me out of this hellhole! But the truck drove on by. Strike! "I hope your truck breaks down!" I shouted at the passing vehicle. I wasn't feeling very gracious. "Then you try to hitch a ride back into town!" I walked and I walked. After an hour or two, I had counted 8 vehicles that had passed me going in the wrong direction, and just the 1 that was headed in my direction. Then I heard another vehicle behind me. Come on! Come on! Pick me up! Please!Please!Please! I stuck out my thumb again and the vehicle came to a stop. YES!!!!!! They asked where I was going, and I said it didn't matter--I'd go anywhere! Although I really wanted to get to Page, I'd be happy just getting a ride the rest of the way to the highway where there would be a lot more traffic. 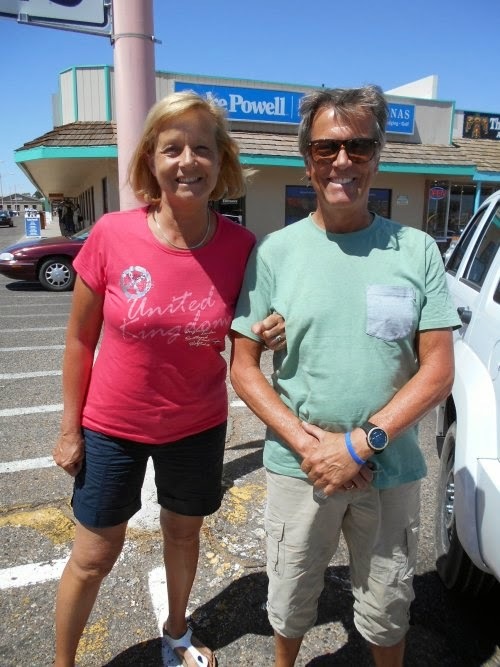 During the drive, we passed by Lake Powell and somewhere along the way crossed out of Utah and reentered Arizona. (I can't seem to stay away from Arizona, I joked.) They dropped me off in downtown Page and I proceeded to look for a hotel. Normally, the first thing I'd do when I got a hotel room was to take a shower, but I made an exception this time around. I was in PAGE! 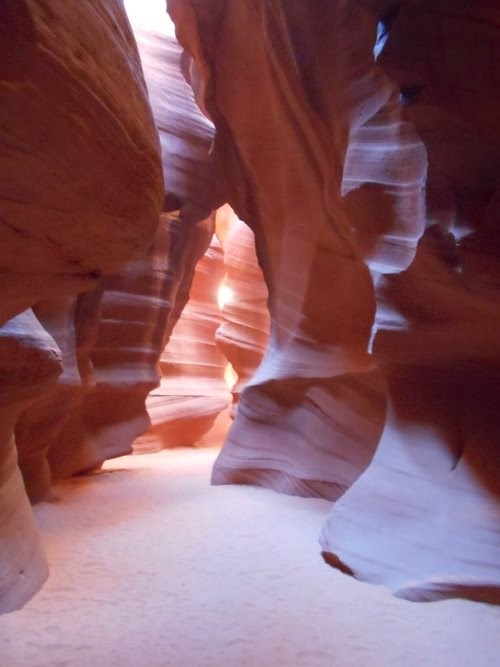 And, I happened to know that the world-famous Antelope Canyon was just a few miles away. 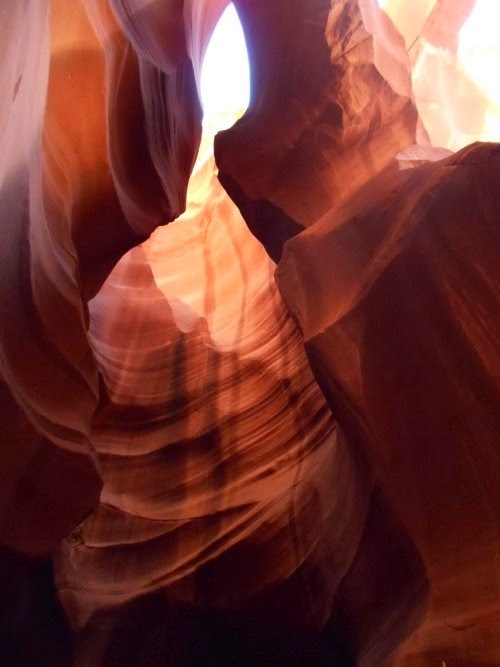 It would be criminal to visit Page, Arizona, and not stop to visit Antelope Canyon. But I couldn't just walk there. 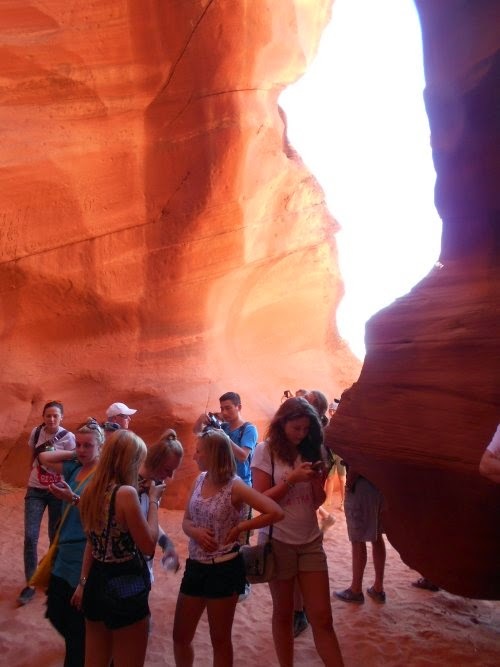 No, visits to Antelope Canyon can only be done with guides and in groups. Not my favorite way to travel, but I'd do it. So I dropped my pack in the room then headed out to sign up for a tour group to Antelope Canyon. The next available slot, they told me, was at 3:30 that afternoon. It wasn't even noon yet, so I had a few hours to kill. I walked over to the post office next where I picked up the laptop I had mailed to myself from Flagstaff then back to my room where I could (finally) plug in my cell phone and start making phone calls. Except the phone didn't work in Page. Good grief, why do so many people like these devices? But I did get on my laptop and was able to make Skype calls through that. 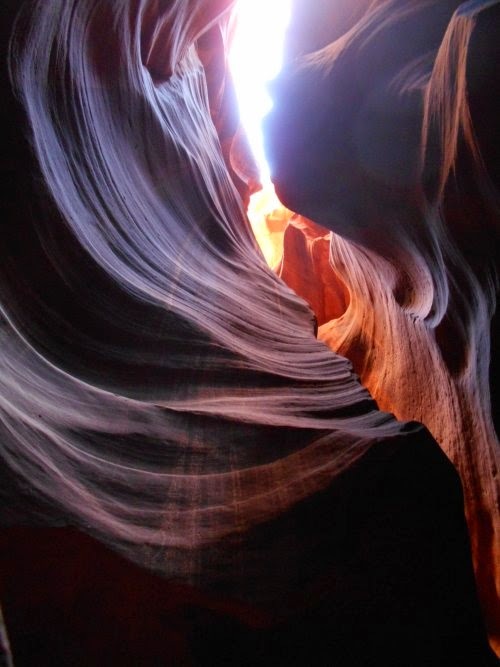 At about 2:30, I went out and grabbed a sandwich at Subway then returned to the Antelope Canyon tours to wait for my tour. It didn't take long to realize that there weren't a lot of English-speaking people signed up for my tour! There was a large group Koreans or Japanese or something Asian (sorry, but I can't really tell the difference! ), most of which wore face masks as if they were in the operating room of a hospital. Did they know something that I didn't? At the anointed time, the tour trucks arrived. Each truck would hold about 10 people, and they loaded the Asian group into two separate vehicles. The English-speaking people got into a couple of other trucks and off we went. It probably took less than 10 minutes before we turned off the road and headed into Antelope Canyon. The slot canyon was still up the dry riverbed, though, and the trucks gunned it through the loose dirt. I, starved for attention after being alone on the Arizona Trail for so long, started chatting up the other passengers asking them all where they were from. One girl, who was the only person besides myself who had arrived alone, said she was originally from Russia but now lived in LA. I opened my eyes wide. "Are you.... are you a SPY?" I asked conspiratorially. Without even hesitating, she answered, "Yes, I am!" I laughed--I had a hunch that I wasn't the first person who use that joke. Her answer seemed too rehearsed and practiced, but it was funny. But I also thought it would be funny if it turned out that she really was a spy--she could have answered yes and I'd still think she was joking while the whole time the joke was really on me. Let me tell you, though--the next time I hear about the US catching a bunch of Russian spies, I'm going to take a close look at the photos of the perps and check if she's one of them. You know... just in case! We finally arrived at the entrance of Upper Antelope Canyon (there's also a lower one, but the upper canyon had the first open tour space available). The sheer magnitude of people at the canyon surprised me. There were a lot of people there! Our guide took us in and all-in-all, I can't say I liked the experience. 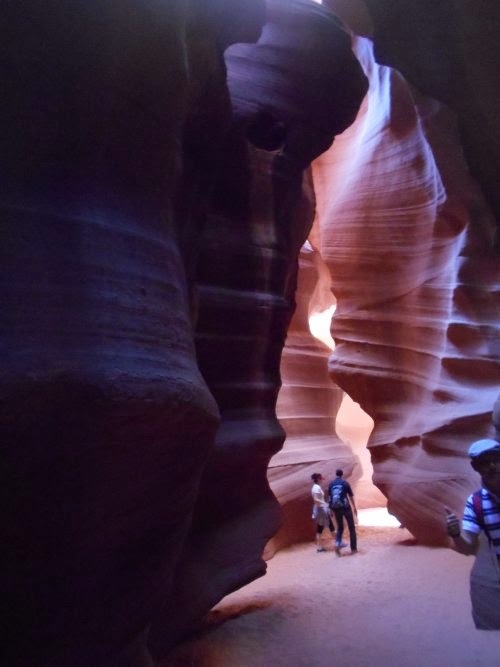 Antelope Canyon was gorgeous--no doubt about that--but sharing it with a hundred other people in those narrow confines wasn't fun. And the tour guide kind of annoyed me. He was friendly enough, but he kept pointing out obscure features in the rocks and insisting that everyone take photos of it. "This over here is The Candle formation. Look at it from this direction, squint your eyes, and you can see the candle. Come on, get a photo!" Then we'd take five more steps and he'd point out another formation. "Over there is Abe Lincoln himself. There's the beard, top hat. Be sure to get that photo! Everyone back at home is going to want to see Abraham Lincoln here!" Further down the slot canyon, we saw bears, and George Washington, and I don't know what all else. I started ignoring him after awhile because I found it so annoying. When I got next to some other people from the group and a bit away from the tour guide, I joked--quietly so the tour guide wouldn't hear--"Yes, you can see all 44 presidents in this cave if you look hard enough! If you look at this rock and squint your eyes, you can see President Harding himself! And, don't look behind you, but Obama is watching you RIGHT NOW!" With another person, I joked, "Look! It's an eagle flying overhead! With a snake in its claws! Flying over Half Dome and being chased by a pterodactyl with three wings! See it? It's RIGHT THERE! It's as plain as the nose on Lincoln's face!" One thing I did was take a few photos in black and white. 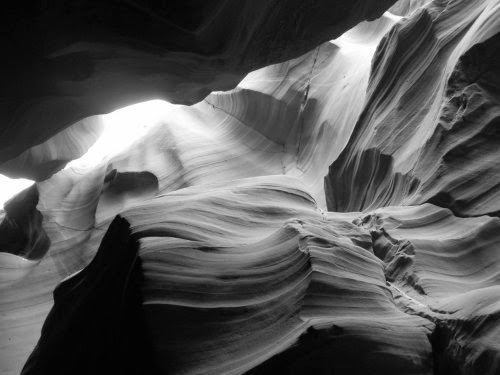 Ted and Suzanne, who I spent two hours with the evening before, had recently taken a tour of the Lower Antelope Canyon and showed me some photos they took there--absolutely gorgeous photos, but many of them were in black and white on the suggestion of their tour guide. 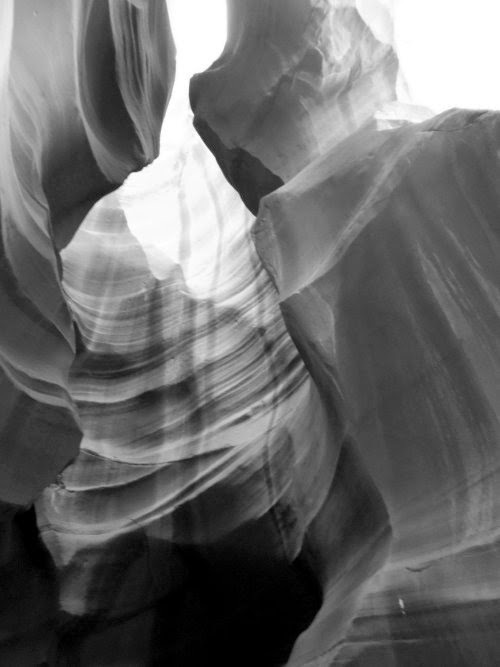 It was a really neat effect--it almost looked like an X-ray of the slot canyon or something, and I wanted a few of those in my collection too. So while our tour guide kept pointing out presidents, eagles, bears and candles, I took a good portion of photos in black and white. That was the best piece of photographic advice I got--and it didn't even come from our tour guide. made Buckskin Gulch famous around the world. Another day, perhaps! We made it through the canyon and turned around to head back. I largely stopped taking photos at this point--I had enough of them and just wanted to soak in the views with my own two eyes rather than through the lens of a camera. Sometimes, you have to stop taking photos to enjoy what's in front of you. As I left the entrance of the slot canyon, we were among the last of the groups leaving and the place was a lot less crowded. I took out my camera again to snap a few more shots without all of the people in the way at which point I fumbled the camera and dropped it. Shoot! It had a soft landing--it landed on the beach-like sand--but I worried the sand would cause problems if it got into the camera. I picked it up carefully and tried to blow off the sand as best I could, then click the on/off button to turn off the camera. The lens tried to retract... but failed. Again and again, it failed. My camera was broken. *#&%! This was the second camera I've now broken on this trip! And this one I'd had for all of about a month! Well--I was certainly glad I had Amanda get the extended warranty for it. I knew there was a good chance I'd be using it, but I had hoped it would have been from damage on another trail! Once again, I traded out the memory card and batteries with my backup camera. Not that I really needed photos anymore--my Arizona Trail hike was over. All I had left to do was fly home. But good grief, breaking my camera--quite literally--at the end of my tour, at the end of my hike. Just five more minutes it would have been safe in my pack and still working today. We got back into the truck again and headed back to Page. I got all of my dirty laundry and walked over to the laundromat to wash a load, then went to Safeway to buy some snacks for the trip home and dinner to take with me back to my hotel room. I was done. My adventure was done! 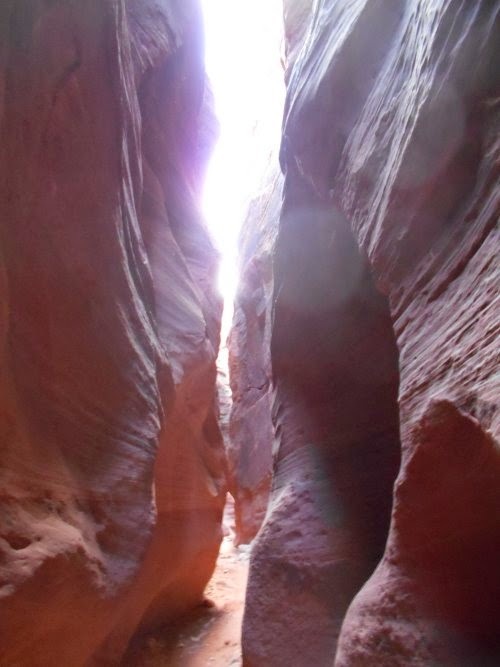 slot canyons at all. But it was still pretty! 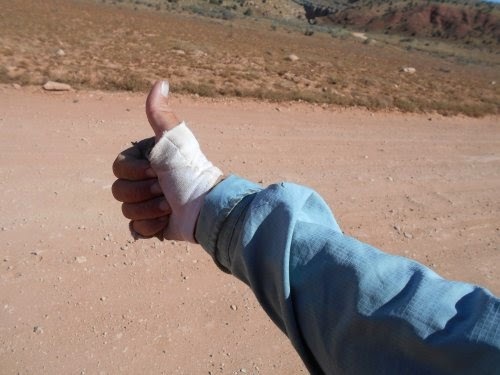 A photo of me trying to hitchhike out from the Buckskin Gulch Trailhead. car drove past me the entire time I waited here. Not one! then, I've walked 941,518 steps in 25 days. paved highway about 10 miles up the gravel road. 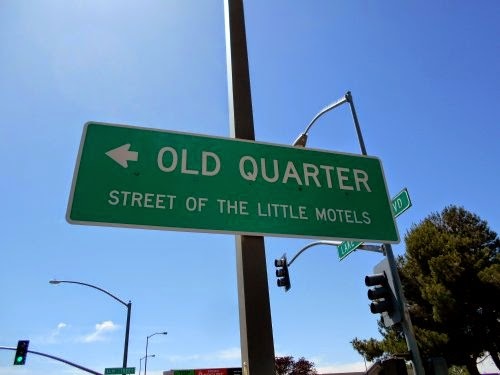 There's a whole street of little motels?! here are all the ones used to drive us out to this location. get photos with nobody in them. The colors in these rocks were amazing! are of the same view looking up--just one I took in color and the other in B&W. Do you see George Washington? His profile is RIGHT THERE!!! which people/animals/whatever., so this might not actually be George. 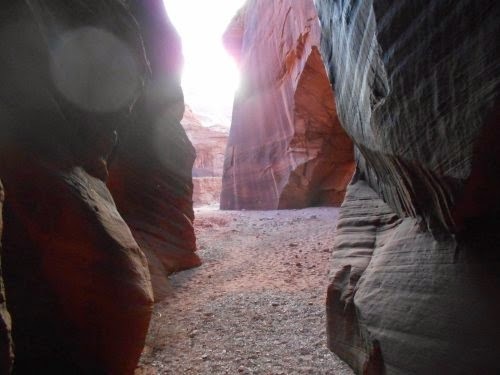 Heading through a slot canyon on my way to Buckskin Gulch. Beautiful pictures. 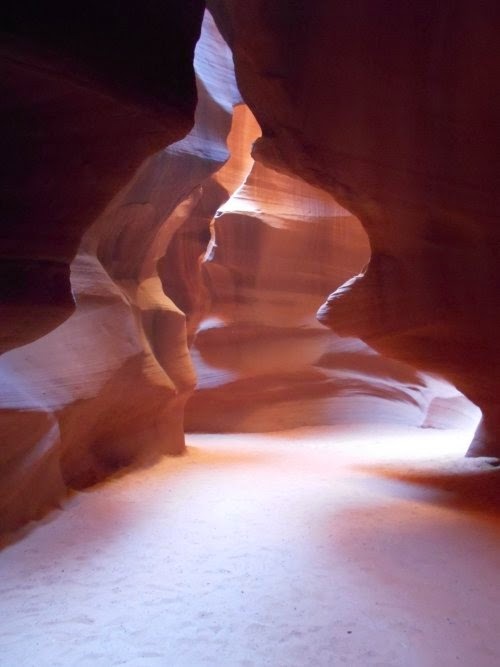 I'll have to add Antelope Canyon to my to-do list. 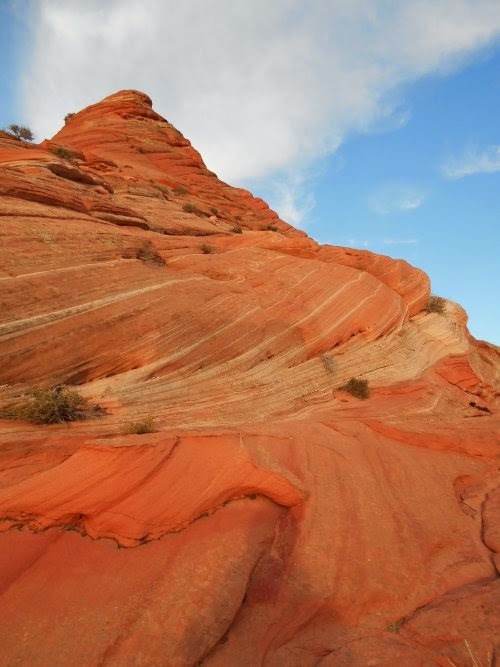 The permit system for the North Coyote Buttes really is messed up, but having been there it's easy to see why it needs that level of protection. Even with the permit system there are dozens of people that "poach" the trail every day. We went during the government shutdown last year after the summer where 3 people died hiking to the Wave. Exciting times. Hopefully you'll be able to see it some day. And hopefully they'll fix the permit system some time soon. I've just completed all of your Arizona Trail entries. What a great read it has been. I am planning for my own hike of the AZT and your experience has provided me with some good insights of what I'm in for. 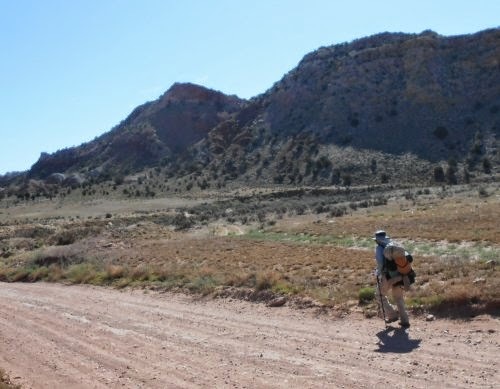 I wish I could do a thru-hike as you did, but I'll have to settle for section hiking it in several two-week time periods each spring and fall over the next couple of years. Along the way I checked out the walking4fun site and am now hiking the PCT over there - another great site. I look forward to reading much more of what you have here and I thank you for sharing your adventures! I wish you good tidings on your own hike of the AZT! It's not always an easy trail, but I have to say, as a whole, I absolutely loved it and think it totally deserves that whole "national scenic trail" designation it has! It really is a world-class trail!